Clarification of Concepts: The need for empowerment stems from the inability of an individual or a group of people to achieve their ambitions and invest their full potentials because of the artificial barriers created by other individuals or groups within the same society; it’s an expression of indisputable inequality, separation and marginalization.According to Oxfam 1995, “Empowerment involves challenging the forms of oppression which compel millions of people to play a role in their society on terms which are inequitable, or in ways which deny their human rights” Okeke submitted that “to empower means to give power to, to give authority to, to enable a person or a group of persons gain power”. Batliwa (1995) in her definition of the term empowerment stated that: Empowerment is the process and the result of the process whereby the powerless or less powerful members of the society gain greater access and control over material and knowledge, resources, challenges and ideologies of discrimination and subordination and transform the institutions and structures through which unequal access and control over resources is sustained and perpetuated.The above mentioned definitions show that empowerment implies that an individual or a group had hitherto lacked power or authority by circumstances, denial or default. The issue of women’s empowerment has become a part of popular debate. It has however been misconstrued in a number of ways; to a great majority empowerment suggests women’s power to fight men, including their husbands. But the intended meaning here is to empower women, especially mothers to play their roles in the family and society. General overview of the mothers’ empowerment program: The Jerusalem Princess Basma Centre celebrated its 50th anniversary during the year of 2016 and marked the launch of the mothers’ empowerment program which is run by a holistic approach and vision with the support of the Canadian Representative Office. This comes after an accumulative work and rich experience in the field of providing comprehensive rehabilitation services for more than 50 years. The beginning of the work with mothers of children with disabilities started in 1995. A tangible partnership with the mothers was built during the treatment process of their children that usually takes place for two to three weeks. The mother was trained to be the “in-house shadow therapist” for her child, the one who applies the exercises learnt following a specialized plan she is provided with once she returns back home. An evaluation to the child’s condition is done after providing the mother with psycho-social support through individual counseling sessions. First Pillar: Increase the access to information and learning the best skills and practices during the mother’s stay which vary from two to three weeks. Mothers observe and perceive the know-how transfer of the treatment done by the therapist during the first week of her stay, and then get involved in the treatment in the second week. Besides that, she takes a customized home program specialized for her child and starts performing the therapeutic exercises learnt. A follow up with the mother takes place after three months of the implementation of the home-program. 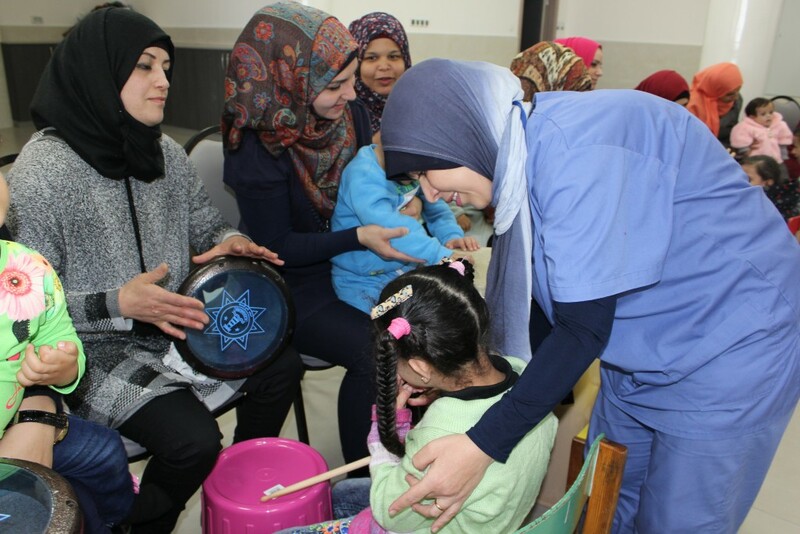 It is worth mentioning that Jerusalem Princess Basma Centre (JPBC) conducts field visits through the outreach program to approach the mothers and to ensure the continuation of the therapy with the mother and family. Second Pillar: is the psycho-social support program, where mothers are provided with psycho-social support services where individual and group counseling sessions take place. Parenting skills might be a subject to be included in such sessions. 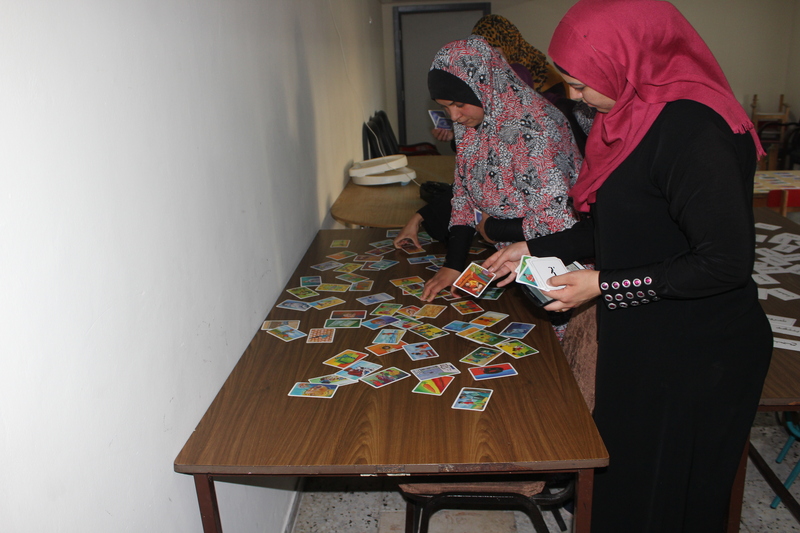 The program includes releasing negative energy and emotions through ice-breaking activities and music therapy. Third Pillar: is educating mothers and raising their awareness on different issues that are related to health, nutrition and home-safety measures, as well as lectures about gender-based violence. Here comes the-comprehensive approach of the program where JPBC envisions the role of mothers as an added value to the rehabilitation process of their children with disabilities. Evidence of success: We see ourselves in the eyes of others. Through the Monitoring and Evaluation Strategy, the program has shown recognition and satisfaction from mothers, unlike other organizations that see mothers of children with disabilities as vulnerable, marginalized and are not a priority in their programs. Here, I recall a quote from a mother during the evaluation process “In the Palestinian society, it is not easy to live in a culture where women are responsible of having a child with disability. On the other hand, we have to meet the needs of our child. As a mother of a child with disability, I don’t live in tranquil on all levels. Besides the society misperception to – disability; having a child with disability affect us psychologically, not to mention the frustration of meeting your child’s needs and the needs of the rest of the family at the same time. Here comes the significance of the program in empowering mothers. Mothers’ participation in the treatment of their children fulfills a genuine partnership. In simpler words: I feel that this program brought me back to life”. Integrated team work: The strength of the team, its professionalism in working and the excellence of service provision at the Jerusalem Princess Basma Centre stems from having a multi-disciplinary professional staff that includes psychologists, social workers, Speech and Language therapists, occupational therapists, physiotherapists, hydrotherapy, music therapist, a qualified doctor in the field of rehabilitation, behavior analyst, neurologist and a Case Manager. All aim at consolidating efforts where the therapeutic staff altogether participates in the treatment of children with disabilities. A multi-disciplinary committee is formed to study the condition of each child where a treatment plan is tailored and evaluated accordingly. Empowering mothers on the psycho-social and rehabilitation levels as they play the role of an”in-house shadow therapists”. This will shorten the length of mother’s stay with their child at the Centre, thus reducing the cost on the national rehabilitation program. This will help in boosting the number of opportunities given to other mothers and children to receive full accommodation in the program run by the Centre. World’s history is full of men’s achievements and their contributions in development processes. For a long time, Women has been perceived as secondary partners as no position has been accredited to women for playing their constructive role in society at the same level to what has been attributed to men. But we recognize the vital role of women in society, therefore we hold the decision makers accountable to fully support the empowerment of women in society, with special focus on vulnerable groups in rural areas.